While we'll never discourage you from a workout for not having the "right" equipment, there's no arguing that having gear suited to your sport of choice makes for a more enjoyable experience. For example, just because you can skate in telemark skis doesn't mean you want to use them for Nordic laps at the Aspen Cross Country Center. So for those of you who enjoy CrossFit or HIIT workouts, as well as a weekly game of pickleball, save your running shoes for running—or walking or hiking. Instead, try the newly redesigned Altra HIIT XT 2 as your gym and court shoe. For gym workouts, the shoe has a stable platform and removable footbed that brings the stack height down from 20mm to 15mm, meaning you can be closer to the ground for squats and lifting heavy weights. Even if your squats aren't all that close to the ground, or if you aren't maxing out your bar with weights, the reinforced toe does wonders for protection during burpees and box jumps. 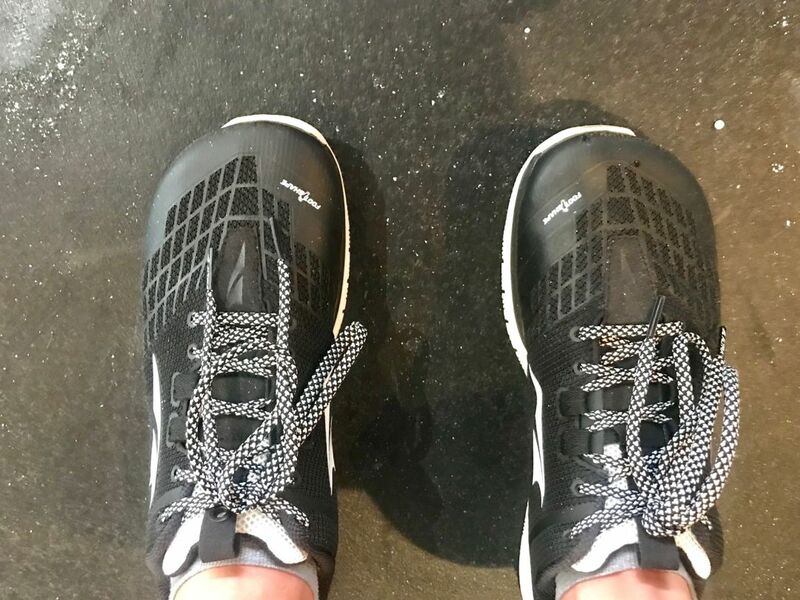 Plus the fit (which is slightly narrower than a standard Altra running shoe) holds feet securely for transitioning from double-unders to running to jumping pull-ups, and more. This updated version also has more flexibility for an improved running experience, whether it's for 400 repeats during a workout or for quick volleys on the court, and the updated lacing system gives more stability during lateral movements. If you've worn running shoes for pickleball, you're likely more than familiar with painful toe bang. The HIIT XT 2's locked-in fit, lateral stability, and support from heel to toe hold feet securely when you rush the net for a volley. The no-slip fit also comes in handy during quick stops and starts on indoor and outdoor court surfaces. In fact, Altra Running co-founder Golden Harper loves to play pickleball when he isn't out running and says this is his shoe of choice.